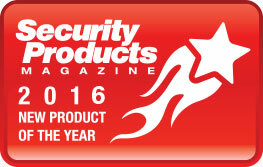 DALLAS – August 31, 2016 – Quantum Technology Sciences recently earned 2016 New Product of the Year for intrusion detection from Security Products magazine and SecurityToday.com. An independently juried panel selected Quantum’s gunshot detection capability for outstanding and noteworthy product development achievement by a security equipment manufacturer. Security Products magazine will present the award to Quantum during the ASIS International 62nd Seminar in Orlando, Florida on September 12 – 15, 2016, where the company will be exhibiting its intrusion detection product line, know as Vector. The award-winning gunshot detection and classification capability enhances critical asset situational awareness by providing real-time notification of gunshots fired from rifles, handguns, or shotguns of multiple calibers and gauges from distances up to 500 meters from the concealed sensors without needing line of sight. The technology will immediately report gunshots fired, date and time of activity. The gunshot alert information can be delivered into a security command center at remote locations as well as be sent by text message to mobile devices for operators in the field. Adding gunshots to the classification suite of pedestrians, vehicles and digging allows Quantum to consolidate into a single solution what previously required multiple technologies to accomplish. The Vector system helps improve the safety of employees and first responders by notifying them to initiate safety protocols in the event shots are fired. It’s easily integrated with control system architectures to notify security personnel, cue cameras or activate deterrence devices. Additionally, when shots are fired within the system’s footstep/vehicular range, it can offer insight for ingress / egress of bad actors. The technology provides a 360º sphere of awareness to eliminate blind spots.